The UFC has become the biggest MMA organisation on the planet in recent years, outshining the likes of competitor Bellator with its incredible roster of talented fighters and big-name match-ups. This has been helped massively by some sporting superstars over the past decade, including high-profile names such as Chuck Liddell, Ronda Rousey, Brock Lesnar and, more recently, Conor McGregor. The latter of those MMA stars has shot to global recognition since bursting on to the UFC scene only back in 2013, when he secured a stunning debut success by knocking out Marcus Brimage in Stockholm, Sweden. From then on, he has become a worldwide superstar and even delved into the world of boxing last year, when taking on undefeated five-division world champion Floyd Mayweather at the T-Mobile Aena in Las Vegas. This was a one-off money fight, but it also helped boost the UFC’s stature in terms of finance and significance overall. The popular Irishman has been involved in all of the organisation’s biggest ever pay-per-view events since becoming the face of the sport, including the maiden UFC defeat to Nate Diaz in August 2016 and subsequent epic rematch triumph that following August. With a character such as ‘the Notorious’ within their ranks, the UFC will always have plenty of fans wanting to see more, but there are plenty of others outside of the deadly Dubliner to follow and keep track of while getting involved in some promising MMA betting. Since the growth and uprising of the UFC, one which actually challenged and went head-to-head with boxing in 2016, the organisation has now been able to produce high-profile fight nights each and every week, spread throughout the world. Mark Hunt fights Brock Lesnar during UFC 200 at T-Mobile Arena. This means one week there will be a fight night taking place in London, with another a week later in Las Vegas before a tasty card is also made for the likes of Poland or Canada. Fans and punters are able to get involved with the best of UFC betting, where they are guaranteed the best odds, prices and every market possibly available in the sport. This can range from simply who wins a big encounter in the next fight night from the UFC, or what specific method of victory is obtained, such as knockout, decision or, as it is MMA, submission. Simply go to the UFC/MMA section of the William Hill site and select which upcoming exciting bout you wish to have a punt on and pick the best bet, whichever you’re feeling. 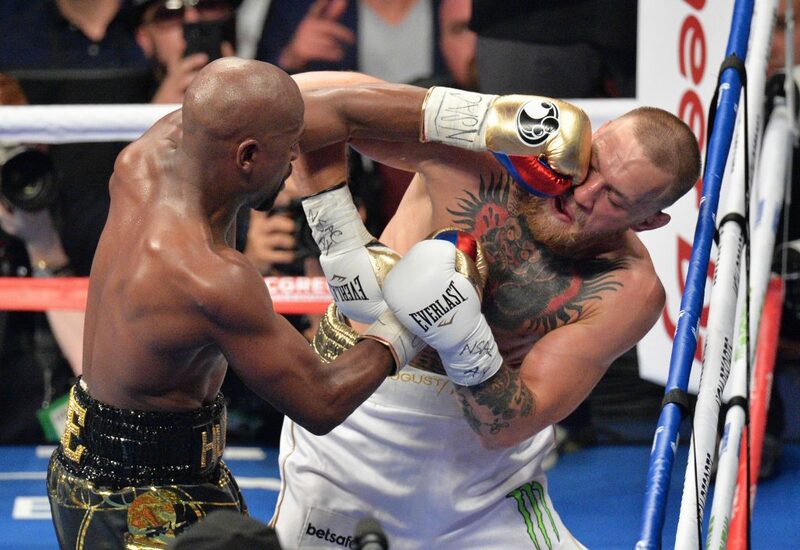 There are a host of high-profile match-ups coming up throughout the coming year, with the likes of aforementioned former featherweight and lightweight champion McGregor set to be involved. Meanwhile, other star names and title holders such Cody Garbrandt, Daniel Cormier, Michael Bisping, Stipe Miocic, Max Holloway, Rose Namajunas, TJ Dillashaw, Cristiane ‘Cyborg’ Justino, Nicco Montano, Demetrius Johnson, Tyron Woodley, Robert Whittaker and Amanda Nunes all set to play their own part in the latest octagon events. So make sure not to miss out on the UFC betting action by getting involved at the peak of this organisation’s powers, with great odds and superb prices available at the touch of your fingertips.